This is the very basic foundation of all my kids behavior. I teach them to obey when they’re young. I’m talking like one-year-old young. The one basic command that they learn before they can even put a spoon of cheerios in their mouth is, “Don’t touch.” That’s the main thing that 1-year-olds do wrong is they they touch stuff that they’re not supposed to. And good news- teaching a one-year-old not to touch is easy! You can do it like 10 minutes. And if you consistently enforce your “don’t touch” rules at home, people will be flabbergasted how well behaved your kid is. However, if you wait till they’re 3, 4 or 5 years old to obey, it may take months to instill this principle in their hearts. Whenever my toddlers go after the books on the shelf, or light sockets, or knives in the open dishwasher, I tell them “Don’t touch.” I have a rubber spatula that enforces my voice. If they touch after I’ve told them not to, I grab their hand and tell them, “Don’t touch this,” and spank their hand. They cry, I hug them and kiss them, tell them to say, “Yes, ma’am,” (no, they don’t actually say this yet, but it’s for future training) and let them give me a kiss back. Repeat this process as many times as it takes until they stop touching it. And when they finally stop touching it, do not forget to praise them! “Yay! You did a good job! Good boy!” And throw in some extra kisses. Does a one-year-old understand? Absolutely! If you stick to it for 10 minutes or so, you will see your toddler pull his hand back when you say, “don’t touch.” Your kids are so intelligent! These are not dogs or horses learning tricks. These kids are human beings, made in the image of God, and they learn quickly! I have often times seen joy in their eyes after learning to obey. It’s almost as if they are proud of themselves for listening. What do I do if they just keep touching no matter how many times I spank their hand? You are probably doing one of two things wrong: 1) You aren’t spanking their hand hard enough. Simply put, the pain you’re inflicting is not enough motivation to convince them to obey you. Increase the force, and they will cry. But don’t waste those tears. Pull them close, hug and kiss, them and reinforce your rule: “Don’t touch.” 2) You might have too much irritation in your heart. If you are angry and irritated as you are disciplining them, it’s better to just leave it alone. Take a break, and revisit it when you can control the emotions of your heart. Disciplining in anger is something we never want to do. Make sure your heart believes in them, is patient with them, and sticks around to follow up with the hugs and kisses. If you are barking, “Don’t touch!”, spanking their hand, then walking away, it will not work. Isn’t it mean to spank them? No. What’s mean is never helping your kids develop self-control. Kids with no self-control are hard to be around. Also, kids are unreasonable. You may have noticed that your toddler gives no mind to your convincing argument why sticking a fork into the light socket is bad. But a quick sting will teach him the lesson in 5 seconds. Your kids will be safer and more likable as they grow in self-control. This whole thing is so important, not just so you don’t have to follow your toddler around picking up the stuff they’ve pulled off the shelf, but because it teaches them respect. They will learn respect for authority and respect for things. A one-year-old who obeys will be a two-year-old who obeys, who will be a three-year-old who obeys, etc. It’s easy to teach this to a one-year old! Not so much for a five-year-old. So start as young as you can! Ending note: If your kids are older, and you never started them out on these basics of obeying. Don’t worry. You may have to work harder to teach them to obey, and it will take longer, but it is possible. The principles are the same, if they don’t listen to your voice, there will be a consequence that “stings.” Be consistent, and don’t discipline in anger. And always go out of your way to praise them for doing something right. I hate it when my kids fight. Not only do I want to them to like each other, but when they don’t get along, it’s just… inconvenient. I have to figure out who did what, and who deserves what. It all takes so much time and energy! However, I know that by helping my kids work through conflict I am investing in future adults who aren’t paralyzed when confronted with it. Here’s some tips to help our kids get there. Talk to them (not at them). Sounds simple, but our temptation is to walk by and command, “STOP FIGHTING!” and continue being preoccupied with something more exciting than 5 year olds fighting over Legos. (If, by the way, you have the magical power of yelling out into the air “Stop fighting!” and children automatically start sharing and making up, please email me.) Seriously, stop and listen to each kids’ story. If they know that their side of the story is at least being heard, that does tons for their hearts. After gathering as much info as you need, make a verdict and deal with the offenses. Don’t get annoyed. It’s irritating when your kids fight with each other, but remember, you’re the one in charge of teaching them to deal with relational conflict. Kids are born immature, and they are still in training! If you act annoyed at them, they will act annoyed with each other. Instead, be patient and sympathetic. They don’t know how to deal with injustice and rejection. Patiently teach them how to handle it maturely. Be fair. Address all wrongdoings. Favoring one child will result in sibling rivalry. This means you need to correct all offenses (even if one child is significantly younger). If one child is clearly being picked on or left out, but he reacts by screaming and kicking over everyone’s Legos, he gets in trouble for that. Correct the child who started the fight, but also the child who reacted sinfully. You can tell them, “Yes, that was very mean the way they treated you. But do you think you should have responded that way?” Part of becoming a mature person is learning to control ourselves even when others offend us! What better time to teach people this principle than when they’re still like 5 years old?! Bring it to full reconciliation. Once you’ve listened to their stories and corrected all offenders, coach them in apologizing to one another, and help them respond with forgiveness. If they sincerely do this, they are in a good place to resume playing with one another. Do your best to make sure each kid feels validated and forgiven of his offenses before you send them off again. If they don’t do this sincerely, you’ll be back at square one in about 5 minutes! But that’s okay. They are still in training, and that’s what you’re there for–to train them. With consistent coaching, your kids will reconcile with each other on their own (can you imagine?). Help them figure out their own solutions by asking, “What do you think you need to do to make this right?” When you see them start to reconcile with each other on their own initiative, oh, it is so rewarding! All that hard work will be worth it! In the years to come, you’ll raise healthy adults who can handle conflict well. Life begins at conception. I’ve always believed it. Never doubted it. Then I miscarried at 9 weeks. At first I reasoned, At least it was early on. At least I didn’t miscarry at three months, or six months, or God forbid, even later. Why, though? Did I have a hint of “it’s not really a baby yet” in my thinking? And why was I calling it a fetus? Isn’t it human from conception? And isn’t a human life lost no matter the gestational age? As the reality of my miscarriage came into focus, I started grieve. My body wasn’t just passing a product of conception. It wasn’t a pregnancy that just “didn’t work.” My son or daughter died. It doesn’t matter that they never grew larger than the ring on my finger. It doesn’t matter that they didn’t “look like a baby,” yet. They had life, and then it was taken from them. And they are infinitely precious regardless of wether anyone recognizes it. And so, I let myself cry. It comes in waves, whenever I remember that sweet little life. I will never touch their fingers or squeeze their feet. Someone in our family died, and they deserve our tears. In a world where it’s legal to dismember babies and throw them out with the trash, dignifying this little one’s humanity was deeply healing. We gave them a name, and placed what we believe to be his or her body in a ring box, and buried them in a special place. We prayed, and lingered, and cried. I have no doubt that losing a baby later in pregnancy is harder. Not because the baby’s value grows (he or she was valuable from day one), but because the mother’s affection grows. After you start to show, or feel the first kick, or find out the gender, you get to know your baby more. The more you know, the more you love, the more it hurts. When grief swells up, it’s when I think of how this baby never even had a chance to grow– to be the newest addition to our family, to be introduced and doted on, to run around in the swarm of their older siblings. They may have lost all these things, but right now they are experiencing abundant gain. They may have only experienced the inside of my womb for a matter of weeks, but now their soul is clothed with immortality; their death has been swallowed up by life. Jesus will make everything right one day, and everything sad will come untrue. There will be many sweet reunions around the banquette table that day, and we will give thanks and glory to our sweet, sweet Jesus. For 7 years, I struggled with low milk supply. I tried every natural remedy with no success. Eventually, I resigned to conclude that I simply didn’t have enough milk. Amazingly, after I gave birth to my 5th child, I was able to figure out what I was doing wrong all that time. I had always wanted to breastfeed my babies for a full year, but I could never make my supply last longer than five months. 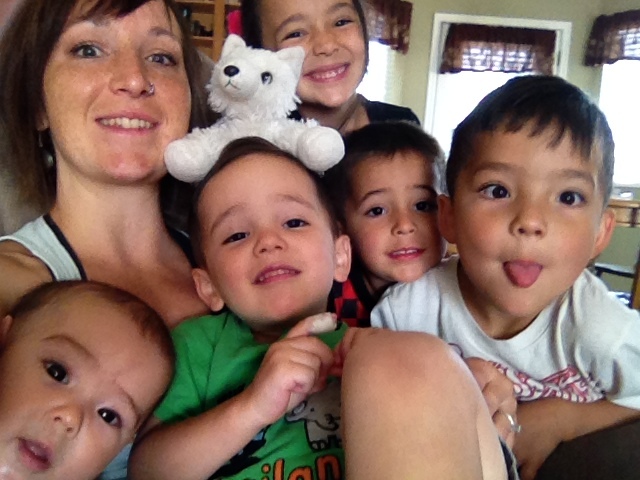 When I had my 5th baby, I was desperate to find an answer. After polling my breastfeeding mama friends, I decided to ditch my schedule and offer the breast every time my baby cried. A remarkable thing happened– my supply picked up! For the first time ever, I exclusively breastfed my baby for 8 months. I was ecstatic. And then I continued to breastfeed till he turned 16 months. I was overjoyed. Looking back, I’ve analyzed what I was doing to cause my low milk supply all those years. If you’ve ever felt like you just couldn’t produce enough milk for your baby, maybe you can learn from my mistakes. I was too strict with their schedule. I practiced Parent Directed Feeding with babies #2-4. The benefit to this eating/sleeping schedule is it helps them to start sleeping through the night by 8 weeks old (which is awesome!). But I believe I was way too strict with it. I was spacing out my baby’s feedings too far out. When I decided to abandon my schedule and offer the breast every time he cried, I noticed a significant boost in breastmilk! Yes, I lost my precious sleep, (I was still getting up at night to breastfeed my baby when he turned one), but it was worth it to still be breastfeeding at all! Perhaps there’s a way to get the best of both worlds, but I’m not there yet. I didn’t permit dry sucking. They must be done. They’re not even getting anything anymore, is what I’d think once I could no longer I could hear them swallowing. I should’ve realized that dry sucking signals more milk production in my body. Instead, I’d pull them off, assuming I was empty and had no more milk to offer. What I should have done was allow them to suckle as long as they wanted because our bodies respond to dry sucking by producing more milk. I relied on my breast pump to inform me about my milk quantity. I wanted to know how much milk I was producing. So when I expected that my baby would be drinking a 3 oz. bottle, I’d be utterly dismayed when I could only pump out less than an ounce. How can they survive off of this?! I’d worry. But after abandoning the use of a breast pump, I now believe that a breast pump is just not a reliable way of determining the quantity you have. A baby is more effective at extracting milk than a machine, and I think your baby’s demeanor is a much more accurate way to determine if you’re producing enough. For years I measured my milk quantity by my breast pump, and it was always so discouraging. But once I dumped the pump, things just worked out. I interpreted all fussiness at the breast as indicators of a low milk supply. It was probably my low-milk-supply-paranoia that caused me to blame my babies’ fussiness at the breast on not having enough milk to offer. Eventually, I’d turn to a bottle just to see if they’d settle down with that (which usually didn’t work, but my insistency eventually won out). With baby #5, I started considering other causes for their crying such as gas, discomfort, dirty diaper, etc. So instead of offering a bottle whenever they cried at the breast, I began to burp them, run their legs, change their diaper, or just cuddle for a while. If they still refused the breast, I’d let them of the hook, and offer again at another time. Interestingly, though, helping them burp or release gas usually did the trick. I know first hand how devastating it is to feel inadequate as a nursing mom. If you have questions or would like to share your own breastfeeding tips or resources, leave them in the comments below! I Don’t Want An Epidural– Okay, Yes, I Do! I had my very first baby at home. Halfway through the birth process, I thought to myself, “What in the world was I thinking doing this without drugs? !” In between contractions, I hoped that my husband would be okay with just one child because I was presently making the decision to never give birth again. Having my first kid was brutal (as first births usually are). Forget everything I learned in my birthing class. I was just hanging on for dear life praying that it would be over soon. If there had been a doctor in the room offering me an epidural that night, I would have eagerly accepted. Since then, I’ve had 4 more kids at home. (Having kids is a little addicting I suppose.) And I learned something from my first birth that changed the way I labored for the last 4. If you’re a future-mama who’s hoping to give birth drug-free, here’s some tips I’ve learned along the way. 1. Be a Limp Noodle. My mistake with birth #1, was that I braced myself for every contraction. Just like they tell you to relax your arm before a shot, you’ve got to relax your entire body when you feel a contraction coming on. Lie there like a limp noodle. They say if you can keep from clenching the muscles in your face, you’re probably doing good with keeping the rest of your body limp. 2. Embrace the Pain. With birth #1, I tried to white-knuckle it through the pain. I thought I would be tough enough and grit my teeth till it was over. Yeah, I don’t recommend that mode of operation. At birth #2, I decided to embrace the pain. I didn’t mentally reject it; I welcomed the pain, submitted to it, and allowed it to take over. Let the pain do it’s thing, and before you know it, fierceness of that contraction will be done, and you’ll be ready for the next. 3. Don’t Rush It. At birth #4, I personally believe I was too anxious to get the kid out, and bore down too early (that’s when you decide to start pushing the kid downwards). If you do this before you’re at 10cm, it can result in your cervix protesting, getting inflamed, and keeping the kid inside even longer. Take the cues from your body. You feel like you wanna change positions? Do it. You feel like you wanna stay on your hands and knees? Do it. You feel like you wanna push? Do it. Follow your instincts. They’re there for a reason. 4. A Doula. You can hire a doula, or ask a friend. In my opinion, the presence of a sympathetic, experienced natural-birther does a lot for your psyche. Having the support of someone who has been through it before and made it to the other side is very motivating. 5. Do Your Homework. Education=Confidence. Take a birthing class. Read lots of birthing books. Even after I had 4 kids, I felt I needed a confidence booster. So I did all kinds of reading, researching, and relearning to be mentally prepared. Learn all you can about the birthing process, positions, and techniques to help facilitate giving birth. Education will give you the confidence you need. What advice would you give to a future mama that wanted to give birth naturally? 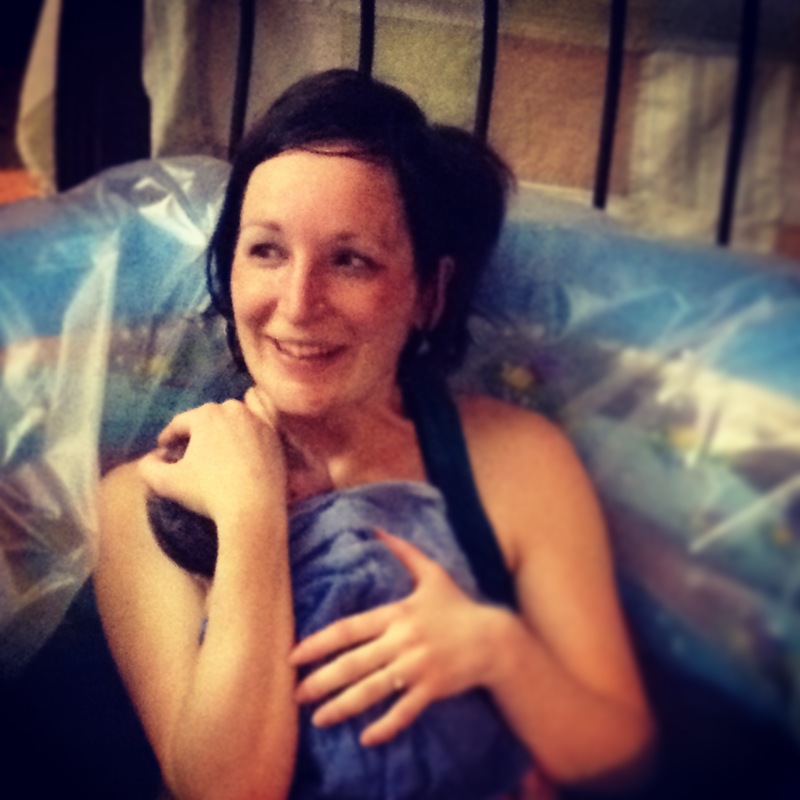 What helped you get through your natural birth? Hold hands. 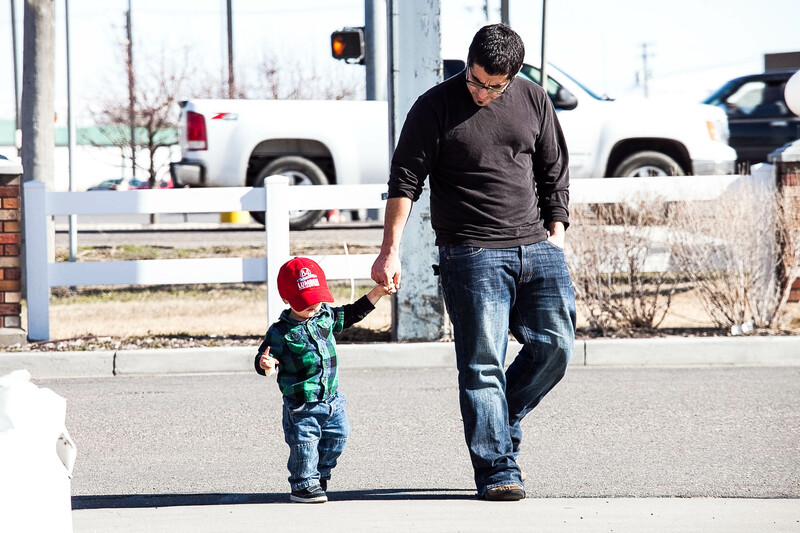 If you have at least a couple kids, employing the buddy system can be a real help. My 4 walkers are paired off with their own buddy. Each older one is matched up with a younger one. They help buckle/unbuckle the seat belt of the younger sibling. They hold hands to and from the car. They hold hands during shopping trips in stores. Giving the older kids the responsibility of caring for their siblings give them a sense of value, while it keeps the younger ones safe. Hold on to the cart. On shopping trips, many problems are solved by instructing the kids to hold on to the shopping cart. If you can’t get the one kiddie car-shaped cart that seats like four kids at your grocery store, you’ll have to come up with a plan B for not losing a little guy. Holding onto the cart helps keep the kids from grabbing things they shouldn’t, it helps them not to lag behind, and it helps you keep an eye on them. Bring a snack. Kids get crazy if they get too hungry. If you anticipate a long shopping trip, bring a bag of dry snacks such as animal cookies or saltine crackers. Hand them out while you praise patience and good behavior in the kids to buy yourself some more time. The kids will love it. Stay in their world. The most common scenario for losing control over my kids is when I mentally check out. Maybe I’m calculating the value of an item I want to buy, or uploading a picture to Instagram when our outing deteriorates into chaos. Stay attentive to what the kids are doing. Keep up conversation. Ask them questions about themselves, or play “I Spy With My Little Eye” while you’re waiting in the grocery line or waiting for your food at a restaurant. 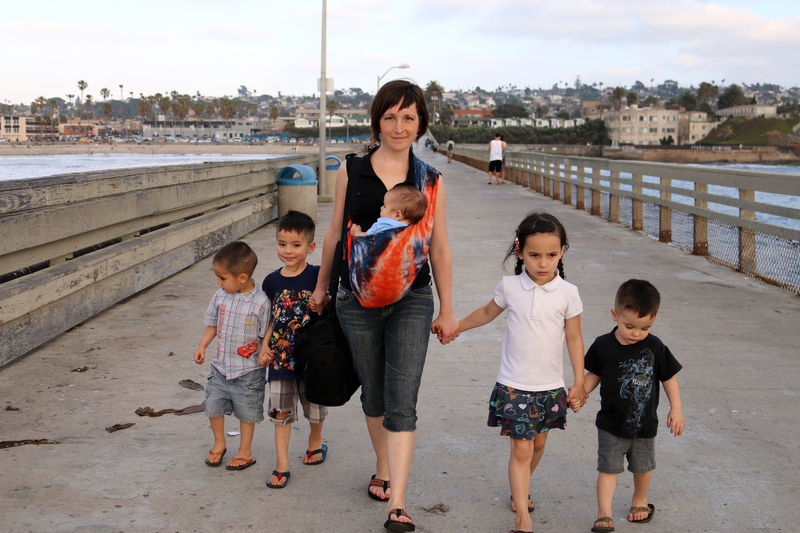 What’s your best strategy for sanity when you go out with your little ones?